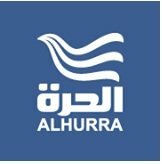 News TV Channel / Alhurra is a United States-based public Arabic-language satellite TV channel that broadcasts news and current affairs programming to audiences in the Middle East and North Africa. Alhurra is operated by the Middle East Broadcasting Networks (MBN), which also operates Radio Sawa. Its stated mission is to provide "objective, accurate and relevant news and information" to its audience while seeking to "support democratic values" and "expand the spectrum of ideas, opinions, and perspectives" available in the region's media. The network has also tried to distinguish itself from its numerous regional competitors by providing access to more in-depth coverage of U.S. issues and policies and coverage of a broader range of opinions and perspectives than normally heard on other Arab television networks.